Did it actually snow in Saudi Arabia? Dubai: Footage of a white cover over vast desert lands went viral last week, as social media users shared images of erratic weather in Saudi Arabia. 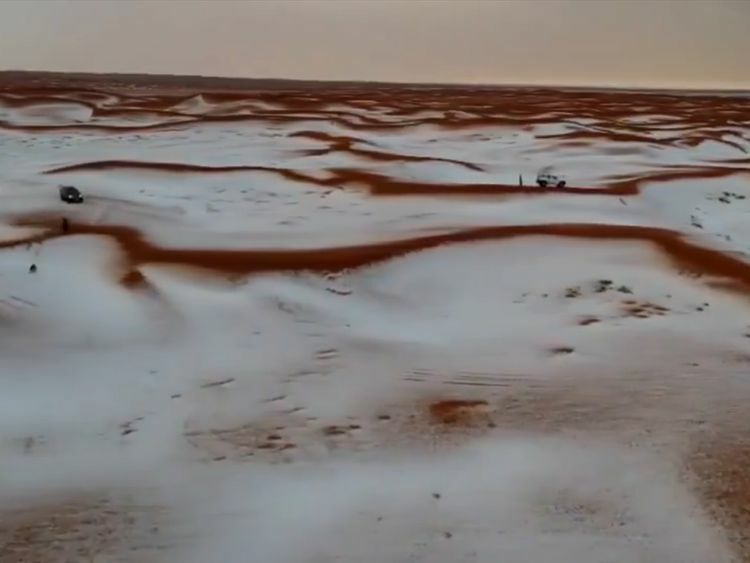 A photographer, using a drone, captured a wintry desert landscape in Saudi Arabia's Al Ghat area on Sunday, March 31, 2019. The country's meteorological department, however, clarified that what looked like snow was actually hail and thunderstorms were quite common in Saudi Arabia at this time of the year. The weather pattern in parts of Saudi Arabia, however, is not expected to have an impact on the weather in the UAE, according to the National Centre of Meteorology. But UAE residents might be able to enjoy the last few days of spring before summer sets in. According to the NCM, Saturday day is expected to be fair to partly cloudy along with wind speeds of 20-30 km/h. The temperature has consistently been rising over the past few days. Highs on Saturday the UAE will be in the mid to high 30s. However, despite the rise in temperature, if you are able to catch a thick cloud cover, it can be relatively pleasant to stay outdoors. Weathermen say that evenings will continue to remain cool. 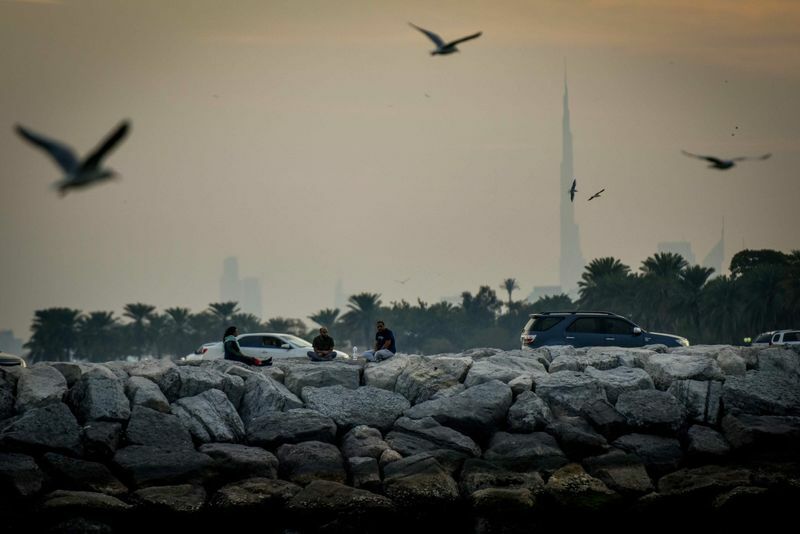 Lows across the UAE are expected to be in the mid to high 20s. The sea is expected to be moderate to slightly rough, as wind speeds over the Arabian Gulf and Oman Sea can go up to 45km/h. This pattern is not expected to have an impact on the weather in the UAE, said NCM forecasters.